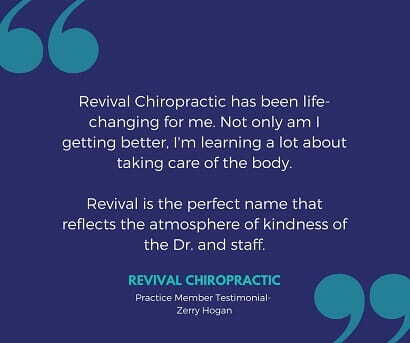 Top Rated Chiropractor in Altamonte Springs, FL. Please feel free to check out over 130 Five-Star Reviews on Facebook, Google, and Yelp! 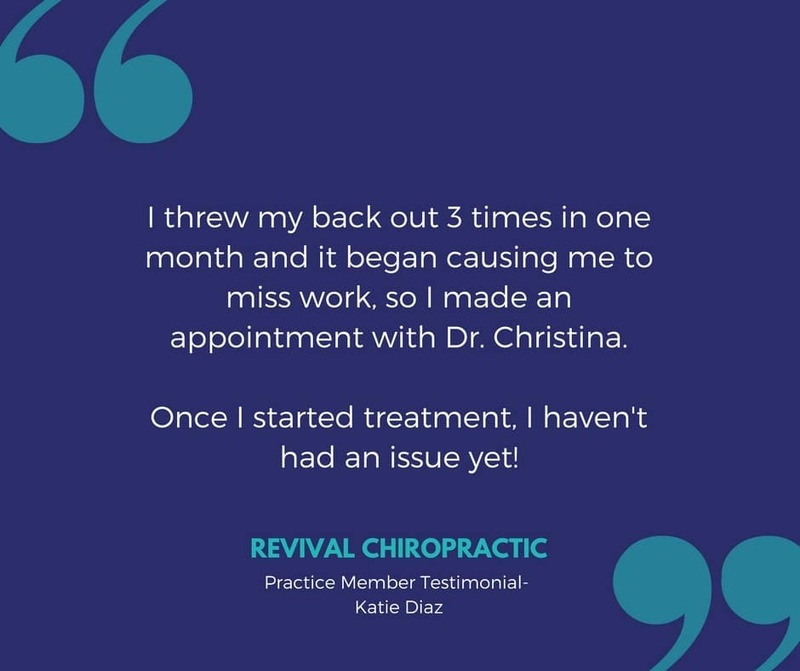 After having seen so many specialists, no one has been able to help my back until I saw Dr. Christina. Within just a few visits, my pain was gone. 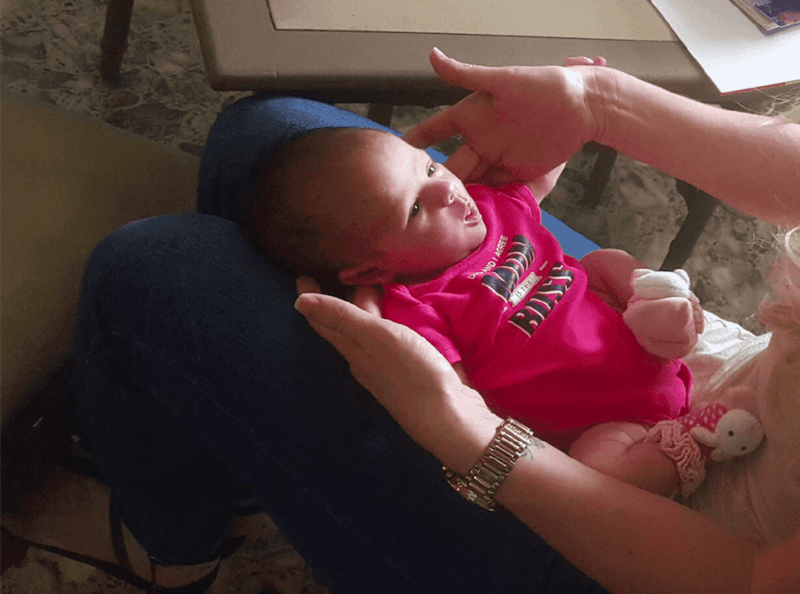 I brought my daughter to see Dr. Christina because she was having an ear infection every single month. It was so hard watching her in pain and not being able to do much about it. 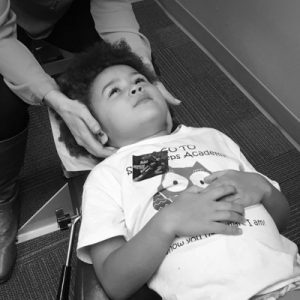 As soon as my daughter got under chiropractic care, she never had another ear infection again. 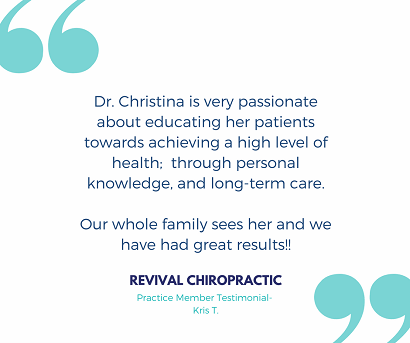 We’re so grateful to Dr. Christina! 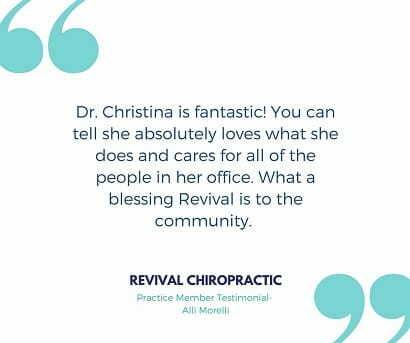 Dr. Christina is an amazing doctor and person! She is so caring, knowledgable, and genuine. 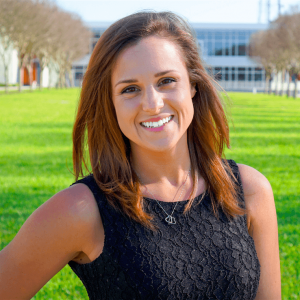 She also is an amazing adjuster and has helped me tremendously! 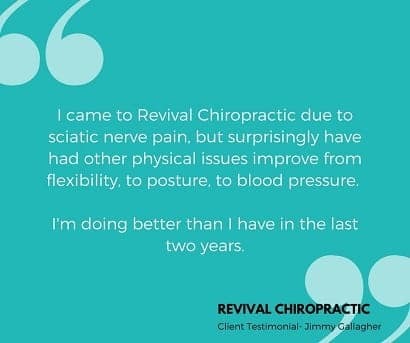 I had chronic back pain for years and while under her care my back pain was nonexistent! 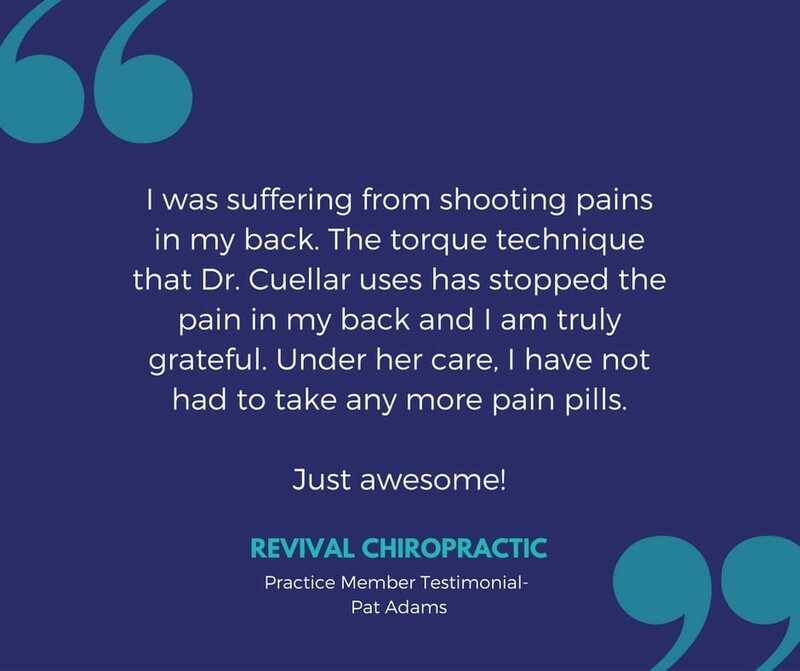 But she does more than back pain! 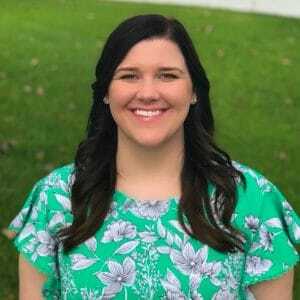 She has helped me with headaches, stress, and digestive issues. I have also met patients of hers that are mothers who are pregnant or have children and they rave about her! 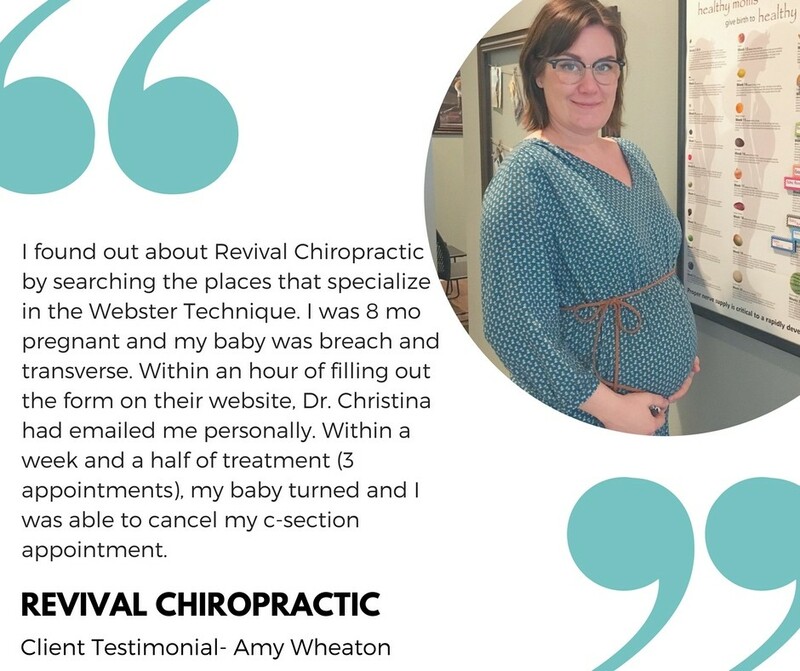 She can help with reflux, colic, constipation, breech babies, latching issues, and past due dates. She’s simply amazing!! 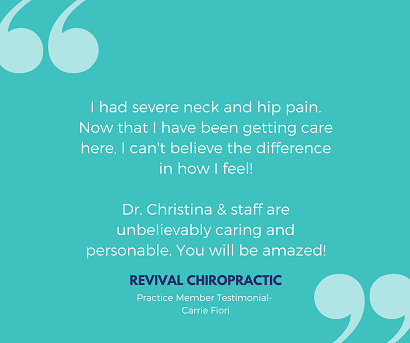 Courteous staff, nice facility, and Dr Cuellar provided a solid consultation and treatment for neck pain I’d been experiencing from my job. I don’t know what else you’d need, excellent experience all around. 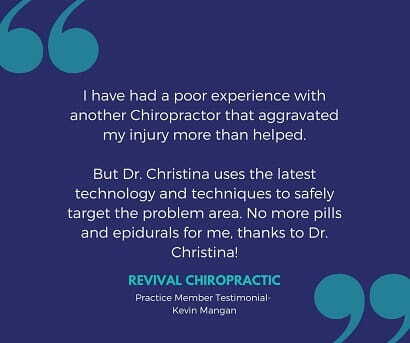 I started seeing Dr. Christina for my neck pain and chiropractic was the first thing to ever work for me. 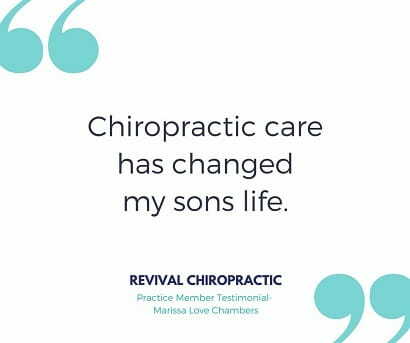 I would definitely recommend Revival Chiropractic to anyone in the area. 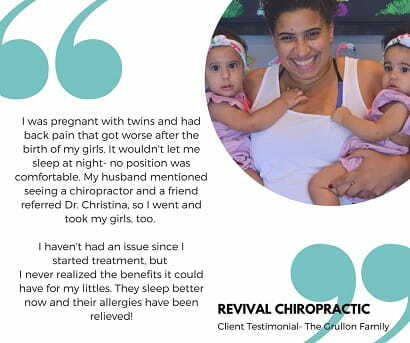 Click Here to Receive 60% off Your First Appointment!